Last month I introduced our readers to a musician out of Kansas City named Scott Daniel. 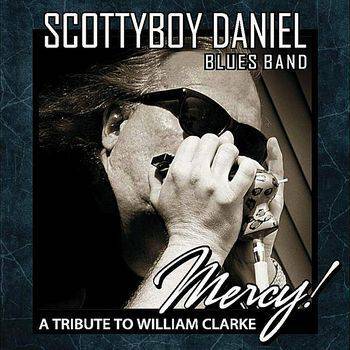 I first became interested in Scott after hearing his new album, Mercy: A Tribute to William Clarke. We struck up a conversation that led to a lengthy interview where we discussed a great many topics. That interview can be found in this month’s ezine as well. The second part of our discussion also includes the guitarist on the album Mercy, John Marx. John played with William Clarke back in the day. I also spoke to the person who Scott calls, “The keeper of the flame” Bill’s widow, Jeanette Clarke Lodivici. Enjoy a discussion with myself and these three individuals as we discuss the new album and the legacy of William Clarke. David Mac (DM): Scott, do you remember when you first got hip to William Clarke? Scott Daniel (SD): Oh Yeah. I first discovered Bill and his music when I walked into a record store called Street Side Records. Sadly the store is no longer there. I saw this cassette of William Clarke. DM: Do you remember which album it was? SD: Absolutely! It was Blowin’ Like Hell. I thought, ‘well this has got to be a harmonica album’. I picked it up and I looked at the cover of it and he’s blowing a big chromatic. It just caught my eye. I thought, ‘I’ve got to get this one.’ I put the thing in the tape player as soon as I got in the car. It didn’t leave the tape player for two weeks. I heard that and it was like, ‘Oh my God, this is amazing stuff. Who is this guy?’ I started buying all the Alligator stuff he was putting out. At the time I didn’t realize he had all those great albums he recorded prior to his association with Alligator. DM: Like Tip of the Top. SD: That’s such a great album too. I didn’t find out about Tip of the Top until 1995. DM: You told me in a previous conversation you had a chance to see Bill perform live. What kind of impact did that experience have on you as a musician? SD: The first time I saw him was at a little club called, Night Moves. It was June of 1993. There were five people in the place. The way he came out stomping, playing and sweating, you would have thought he was playing in front of a crowd of five thousand people. That had a big impact on me. This guy loved what he was doing. He was not tripping on the fact that there wasn’t anybody there. He didn’t care. He just put on the best show for the people who were there. The way he played his shows was amazing. He would go full throttle from the first note to the last note. A lot of cats build their show up towards a big finale. He didn’t believe in that. DM: Let’s talk about the new album, Mercy: A Tribute to William Clarke. How did you come up with the idea of doing a tribute album to Bill? SD: I didn’t. The idea came from the gentleman who owns the record label I am on Blue Edge Records, Steve McBride. What happened is there was a review of my band and the writer kind of compared my sound to Bill’s. Steve saw the review and came up with the idea. He knew I was a William Clarke fanatic. He presented the idea to me. I’ve got to be honest I wasn’t crazy about the idea. SD: Because as you know everybody holds Bill on such a reverential level, including myself, and for good reason. He was a master. I had to really think about it, even though I had been doing some of his songs in my sets for a long time. Steve didn’t know I was friends with John Marx. I sprung that on him and that pretty much sealed the deal. Now that we did it and people seem to like it, I am glad we did it. Bill certainly deserves a tribute album. DM: I want to talk more about the tribute album but let’s dovetail back to a previous comment you made. You brought up John Marx. John’s involvement in this project is an important component in the making of this record. Let me throw a question to John. How did you meet Scottie? John Marx (JM): I met Scottie at a place called Cozy’s in the Valley out in L.A. I was hosting a regular Monday night Jam. Scottie signed up and waited to go on. When he did, by the time I heard him play two notes, I knew he was the real deal. He had that big sound. DM: Scott, what brought you out to California? SD: I was on the road with a band called Dan Sanchez and the Kings of Pleasure. Dan was originally from Los Angeles and we made a few trips out to the west coast. We played two songs and when we were done John motioned me toward him and I leaned down and he whispered in my ear “more”. So we did few more numbers. He came up on stage and put his arm around me and said “I haven’t heard that sound since Bill died.” That kind of took me back, I didn’t know what to say, to be honest. I still don’t. It was a heck of a compliment, especially coming from somebody who spent as much time playing with Bill as John had. It was kind of a fortuitous thing that we met and it kind of evolved. He came out to Kansas City and played with us on my 40th birthday, I had a show out here at BBs Lawn Side BBQ. He and his wife drove all the way out here to play and we ended up doing some other mid west gigs together. John told me he was hoping somebody would do a tribute album someday for Bill. I know John loved Bill dearly. JM: That’s right. We traveled all over together. We played all over the United States and Europe. We felt we had to take the music to the people. DM: John, do you remember under what circumstances you first met William Clarke? JM: We met at the Lighthouse in Hermosa Beach. I was playing and he just stood in the back of the place listening. When I was done he walked up to the stage and introduced himself to me and said he really liked my singing. I was floored because I was already a fan of his. DM: John you had, by that time, been a musician for a very long time. Let’s talk a little about your background in music. JM: Oh yeah. My mother was a singer. I started singing on stage at the age of six. When I was eight, my folks bought me a drum kit. I was always banging on something around the house so it seemed like a good idea. I played drums until I was fourteen. For me it was always about the singing so I switched to guitar. I thought that the guitar could better facilitate my singing. It is a little easier to sing if you are not sitting behind a drum kit. I played strictly rhythm guitar for years. DM: You came out of the folk movement of the 1960’s? JM: That’s right. It was during this period that a lot of the blues men like Mississippi Fred McDowell, Sleepy John Estes, Skip James, Son House and others were being discovered by a whole new generation of fans. These guys would play the folk circuit right alongside the white folk artists. DM: Blues music really has a connection to folk music and other idioms that I sometimes think blues fans don’t fully appreciate. JM: Exactly! There are no lines between the music. Blues history is so much more fascinating and complex than many people realize. Blues runs through it all. 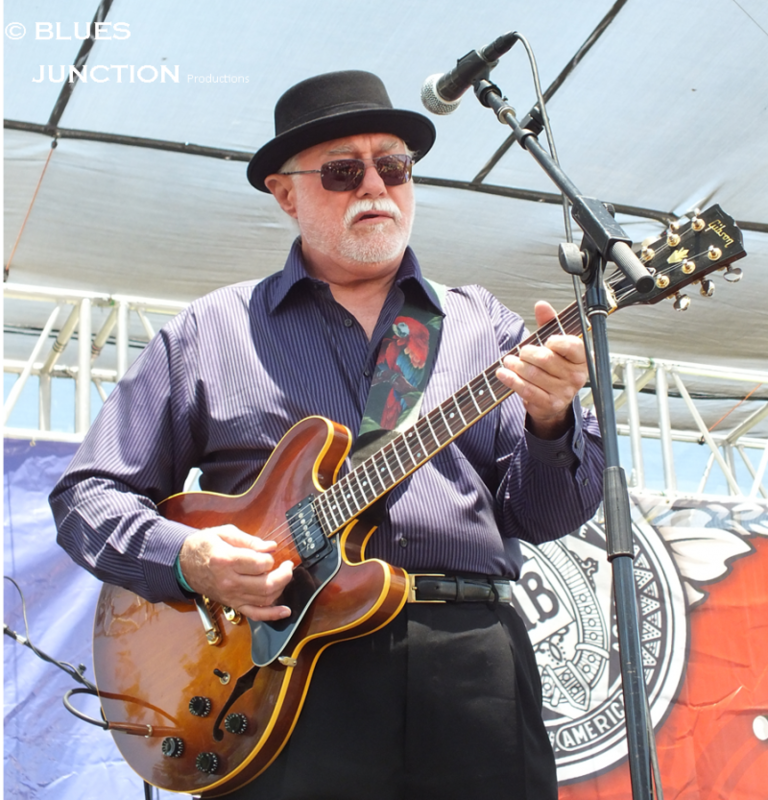 It is like the famous quote by Willie Dixon, “The blues is the roots the rest is just the fruits.” Jazz, folk, country they have such a rich history and some of that history runs together. It is an endless journey of discovery. Take for instance Bill’s playing. DM: There is a lot of jazz up in his sound. JM: Absolutely! He was playing tenor saxophone with his harp. He loved Gene Ammons and Willis Jackson for instance. When Bill died I got his record collection and it was mostly sax players. DM: You have a lot of experience playing with harp players. Let’s talk about that for a moment. JM: I really absorbed that language. I love that language. I think the best example is Robert Lockwood Jr.’s playing with Sonny Boy Williamson II. 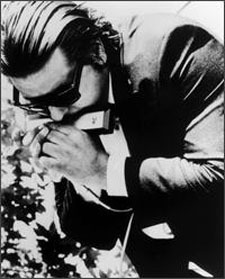 Robert’s playing is the still the template for playing with a harmonica player. You have to play between the lines or fill in the lines where the harp leaves off. DM: Scott let’s talk about the CD. It must have been a daunting task to 1) figure out which tunes to cover and 2) how to interpret them. SD: I chose much of the material from his early Alligator releases because those are the ones that I had heard first and had such an impact on my playing. I thought we had to do Blowin’ Like Hell because, for me anyway, I feel that is his signature piece. That song has got all the elements I think of what his playing was about. It’s bluesy and it’s jazzy. We played that one pretty straight up. He covered Jerry McCain’s song Steady on the Tip of the Top album. He called it Going Steady. I stick pretty close to that one. But the rest of tunes we kind of took liberties and even added some stuff. For instance we covered, Your Love is Real from the Groove Time album and we added organ to the song which I think was a pretty cool touch. DM: Is the album cover of Mercy an homage to the album cover Blowin’ like Hell? SD: You know it’s so funny, I swore to myself I was not going to wear sunglasses on the cover. That was just one thing I did not want to do was wear sunglasses on the album because you know that’s kind of one of his trademarks. We had another picture for the album picked out and ready to go. This lady named Chris Levitt Barry showed up at one of our shows in Leavenworth, Kansas of all places. We were playing outside and the sun was shining full force when we hit the stage so I had sunglasses on. She took the picture that ended up being on the cover of the album. Everybody liked the picture. I kind of chafed but I relented. DM: (laughing) Alright I won’t give you a hard time about the shades. Besides the sunglasses, is there anything else that you can think of that you wish you had done differently with respect to the album? SD: I could kind of kick myself for not doing any tunes off the Hard Way album. Maybe on down the road I’ll do some songs from the Hard Way on another album. I love that album. It is just amazing. I can sit there and listen to it over and over and over again. You can see where he’s going with that stuff. He was moving into a jazzier sound. You can really here him evolving as an artist. DM: There is someone else we have talked about who is another very important person as it relates to this album, Jeanette Clarke Lodovici. I have a question for Jeanette. 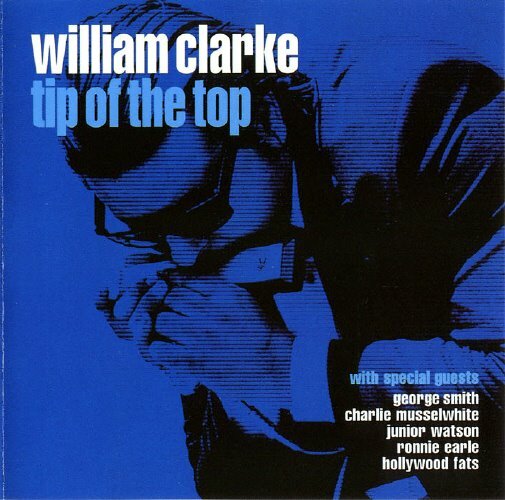 When and how did you first hear about this William Clarke tribute album? Jeanette Clarke Lodovici (JCL): John told me about it a couple of years ago or so. I thought that would be great. In fact I can’t believe that no one had done a tribute album before. DM: What is your impression of the album? JCL: I was pleasantly surprised. I like it. The musicianship is just so good on the record. I also think they did a great job in selecting the material. I love John’s singing on Your Love is Real. I also like the closing track. The song is a tribute to Bill. It reminds of Bill’s tribute to George (Smith). SD: Jeanette was and still is, a huge help to us. She provided us pictures that no one had ever seen before. We used those as part of the album’s artwork. We’re just grateful that she has been behind us on it. I don’t think we could have done it the way we wanted to do it without her involvement and without her being behind it. We are really grateful for that. JCL: As Bill was dying he asked me to make sure people remember him. This album might go a long way to help make that happen. It is like what you said, when we spoke last week Dave. When you listen to the record it makes you want to listen to one of Bill’s record. That is what Bill wanted. 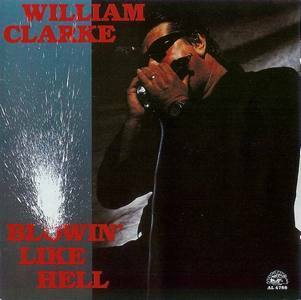 DM: Scott, what would you like people to know about the musical legacy of William Clarke? SD: We talked about this the other day. There are great musicians and there are transcendent musicians. I think Bill definitely fits into the latter category. He was definitely a transcendent musician. It’s just a shame he didn’t get to stay with us longer. I think it’s also great that Jeannette can see that his music is still touching people after all these years.